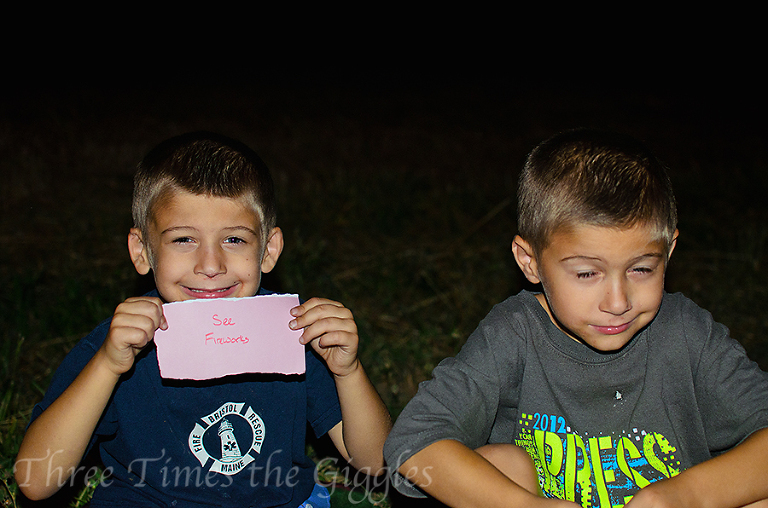 Last Tuesday evening, I took Ty and Chase to see some fireworks! Jackson had been sick that day, so didn’t get to go. Such a bummer! 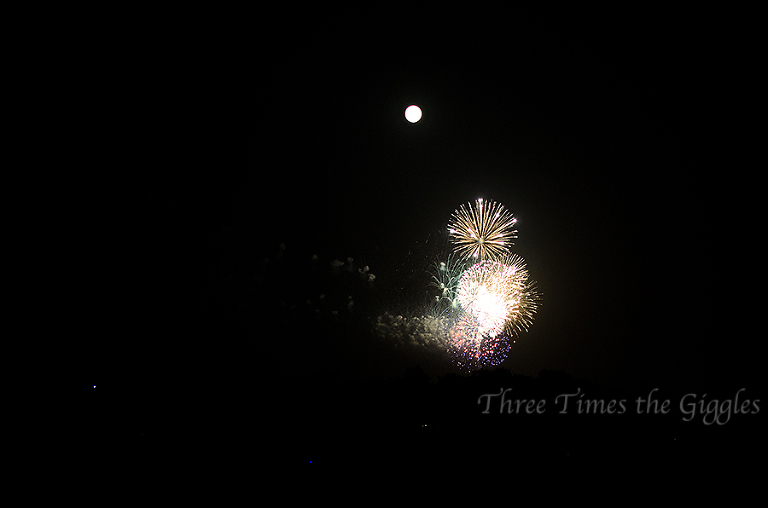 Our fireworks watching adventure didn’t go quite as we had hoped, which was unfortunate. When we arrived at the park, we discovered (after driving around for 15 minutes) that all but one entrance was blocked off. I guess this was their way of making traffic “easy”, but by the time I realized what was going on and circled back around the one entrance had been closed off too! Waaaah! 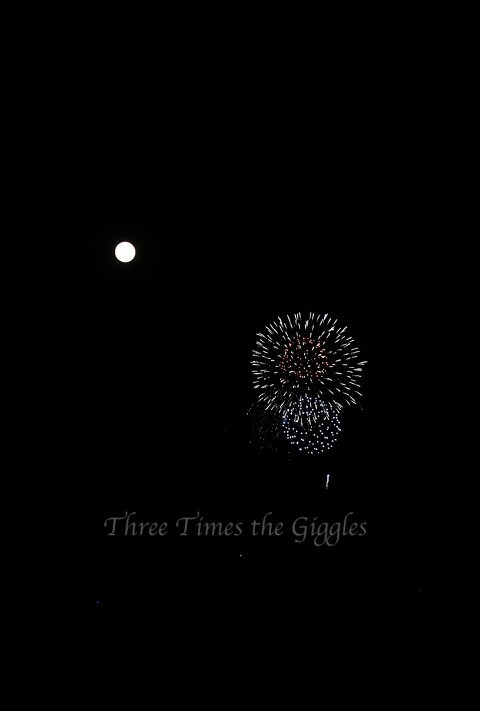 By this time it was 9:10pm and the fireworks would be starting in 15-20 minutes, so I drove frantically around an area I’m not familiar with, just trying to find a place to park and watch the show. Finally, as a last ditch effort, I turned onto a random, countryish looking road. I followed it up a hill and found 20 or so other cars pulled off to the side and people setting up blankets and folding chairs! Perfect! Almost…. 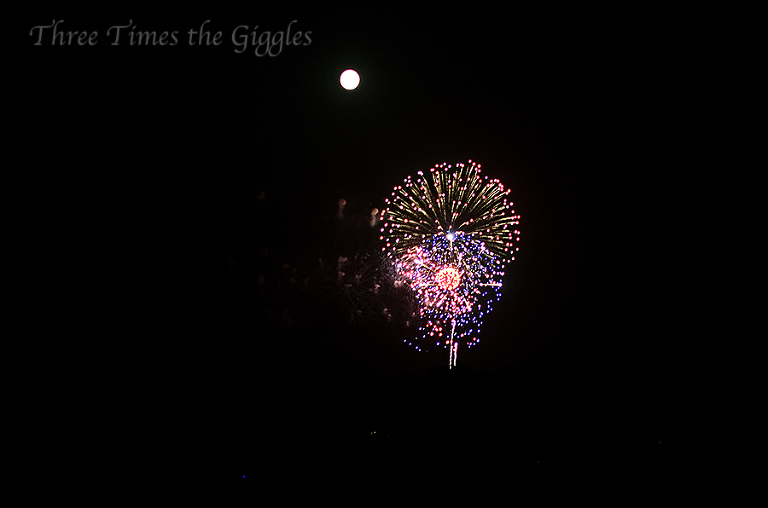 We were probably 2-3 miles (at least) away from the park where the fireworks would be launched from, but the view of the fireworks exploding right next to the full moon was kinda cool. Ty & Chase were their usual chatty selves during the entire show, asking questions, making comments, asking more questions and making more comments. After I told them for the 100th time to just enjoy the show for a few minutes, a couple of women nearby cracked up with laughter.